FLIGHTS: There are direct flights from many major cities in the USA including Atlanta and Miami. Flights from Miami are only 1.5 hours. CURRANCY: US Dollars are used in Turks & Caicos. Banks and ATM machines are prevalent. DRIVING: They drive on the LEFT side of the road in Turks. If you are comfortable driving on the left side (and going around roundabouts) you are welcome to rent a car, scooter or even ride a bike! 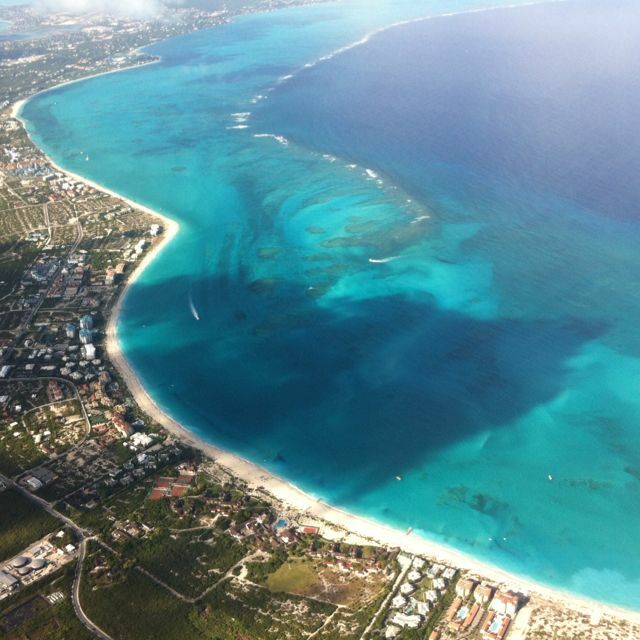 WATER: The water in Turks is filtered and safe to drink. You need not fear getting sick. ACCOMODATIONS: Most resorts are in the Grace Bay area and directly on the Bright/Grace Bay Beach which is 12 miles long with great views of the sunset. Most resorts offer guests full kitchens or kitchenettes. LANGUAGE: English is the main language on Turks & Caicos but because of the variety of nationalities you will definitely hear many other languages spoken during your stay. SAFETY: Turks and Caicos is one of the safest islands I visit. I feel safe walking alone around town and walking the beach and have never heard of any crimes towards tourists. FOOD: Turks is known for it’s fine culinary experience and you will not be disappointed – the food everywhere is excellent with a variety of flavors from around the globe. Turks continually brings in the best chefs from around the globe to cater to your culinary needs. Looking for the perfect beach vacation? 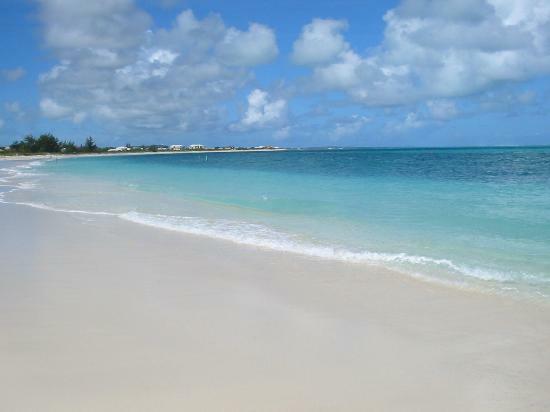 Turks & Caicos has what you are looking for with large soft white sandy beaches that stretch for miles and miles. You will not find blobs of seaweed, sharp rocks even an abundance of shells – just soft beach for you building, walking, jogging or just viewing pleasure! Turks & Caicos is perfect for your Destination Wedding, Honeymoon, Family Vacation, quick getaway, Dive trip or quite get-away! I would like to thank the Sands at Grace Bay for their warm hospitality during my stay in Turks & Caicos. Checking into the resort I was warmly welcomed and checking out I felt like I was saying goodbye to family. For all those with Turks & Caicos on their radar I’d like to invite you to The Sands at Grace Bay as they will ensure you a ‘home away from home’ and the ‘family’ to go with it! The Sands offers 1, 2, and 3 bedroom condominium-style units that are elegantly decorated yet comfortable. All units have full kitchens, a nice amount of storage (dressers/closets) and large screened-in balconies/patios. The Sands at Grace Bay is home to Hemmingway Restaurant which is ocean-front an amazing. Come for the food and stay for the live music and view!